"I’m sorry I didn’t get here sooner, but I got here within the first two months of being on board as the acting administrator, and I’m very happy to be here," said Andrew Wheeler. Wheeler took over as acting administrator in July, after President Trump’s first EPA chief, Scott Pruitt left the job amid a swirl of ethics allegations. Wheeler’s all-day visit included tours of Superfund sites in Butte and Anaconda, and a couple of meetings with state and local officials and some community activists. He heard more than once that they’ve felt neglected or forgotten by the EPA since the sites were added to the Superfund cleanup list in 1983. "We’re trying to get back to the basics of the mission of the EPA, and part of that, a very important part, is getting the Superfund sites cleaned up around the country," he said. "And the sites here, in this state, these sites that I’m viewing today, have been languishing for far too long." About a year after President Trump took office, Wheeler’s predecessor, Scott Pruitt, created a list of 21 Superfund cleanup priority sites. That’s out of more than 1,300 Superfund sites nationwide. Butte and Anaconda were on the list. Wheeler said that just because Pruitt is gone now, that hasn’t changed. "Superfund is a priority for the administration, for President Trump, and it's a priority for myself as well," Wheeler said. I asked Wheeler if Butte and Anaconda are top priorities for EPA because the human health risk here is particularly acute. "The impact on human health is certainly one of the main factors," he said, "but there’s other factors as well, including how long a site’s been on the list, and how long it’s gone with inaction. As well as, what we’re trying to do is pick sites where, if we work with a responsible party and can reach an agreement, we’re hoping that that will spur action at similar sites, or other sites. So we’ve picked a variety of different sites around the country, and we’re trying to show everyone, even if you’re not on the priority list, how we can move these sites forward to completion." 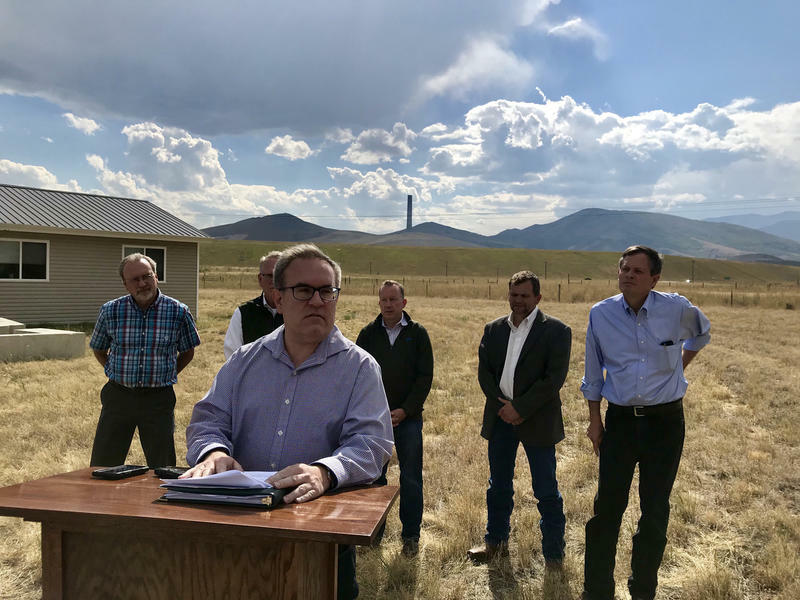 Wheeler got a lot of praise and thanks for coming to Butte and Anaconda from state officials, county commissioners and the community activists who were invited to join the Superfund site tours and offer feedback. But some of those activists gave some pretty strong criticism, too. 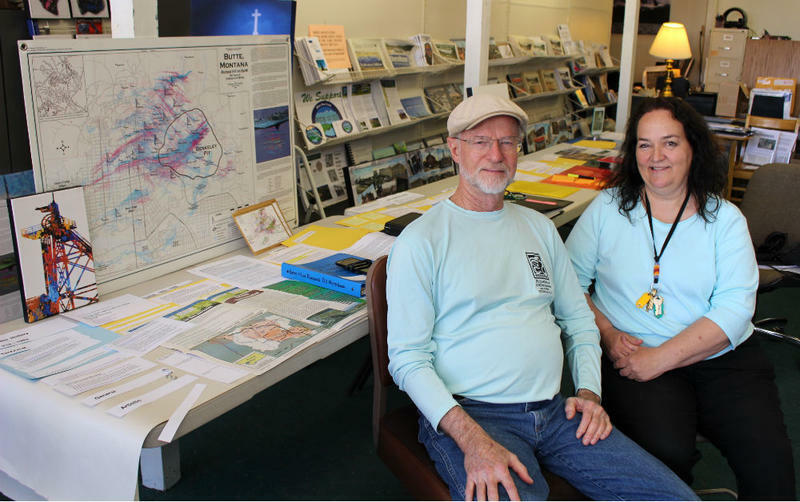 I talked to Fritz Dailey, a former state lawmaker from Butte who’s been pushing for a cleanup there for decades. "This isn’t the first time that you’ve seen federal officials come to Butte and talk about how things are going to be better," I said, asking, "does this strike you as any different?" "No," Dailey replied. "The truth of the matter is, the devil’s in the details, and if we don’t get a better cleanup than what’s proposed right now, then they’ve failed." 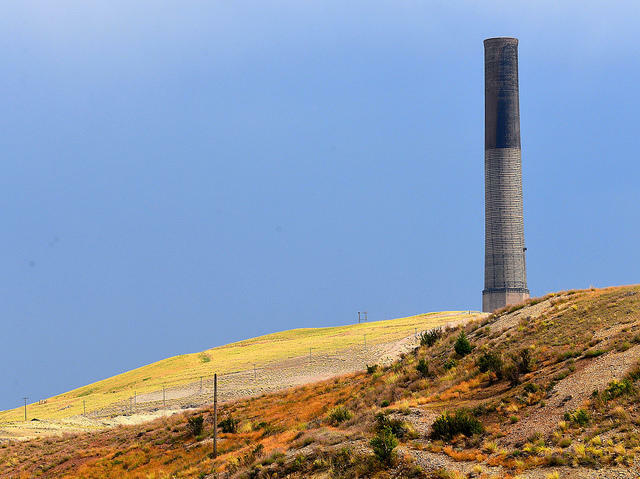 What’s proposed right now is a final cleanup agreement in principle that, when it was announced in January, was hailed as a historic breakthrough with ARCO-BP, the company responsible for cleaning up historic mine waste. 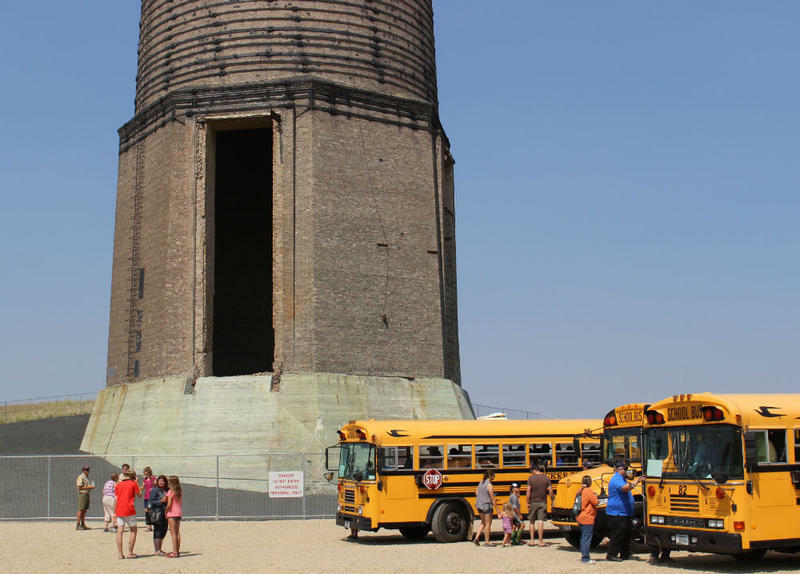 "They make it sound like it’s the greatest thing since sliced bread, it’s not," Dailey said. "When the agreement in principle was presented to us, it was presented to us as cleanup of the entire corridor, well that’s not true. EPA and the state and local government have taken ARCO-BP off the hook for the cleanup of Silverbow creek at the headwaters, instead of that being a BP responsibility, which it should be, they’ve made it a responsibility of the state, and who knows what the final cost will be. There’s lots of unknowns still in there," Dailey said. A final cleanup agreement for Anaconda was announced at the end of July, but even less is known about the details of that one, because it was negotiated under a court-imposed gag order. The parties involved with the Anaconda agreement on Friday said they plan to next month formally ask the court to make the agreement public as soon as possible. 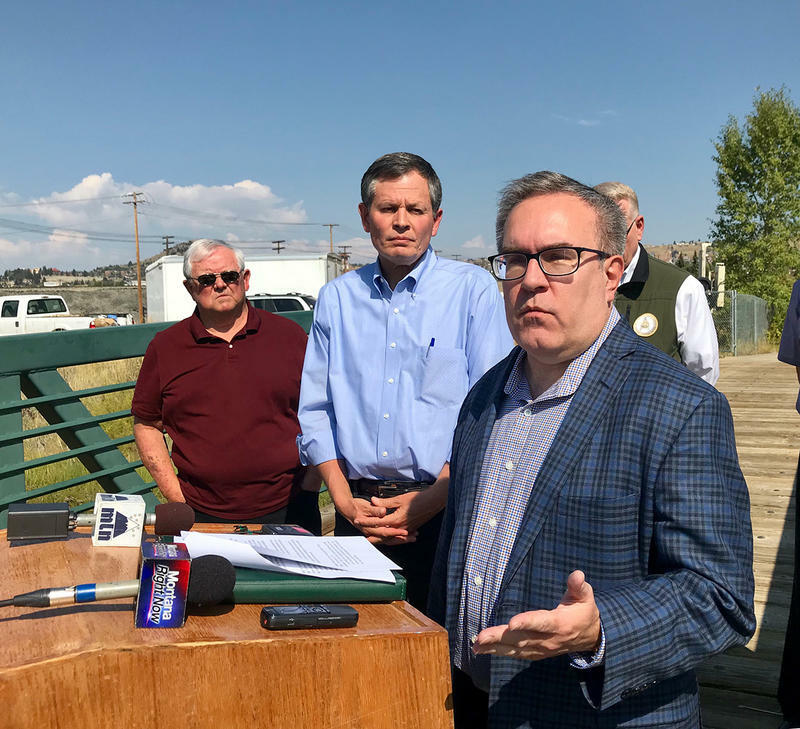 Both Acting Administrator Andrew Wheeler and Senator Steve Daines emphasized that they’re motivated to finish the cleanups in Butte and Anaconda as quickly as possible, and free the towns from the stigma that comes with Superfund designation. A reporter asked if EPA will have the resources it needs to pursue its Superfund priorities, given the Trump administration’s penchant big cuts to the agency’s budget. Senator Daines said he’ll be watchdogging that, as a member of the Senate Appropriations Committee. "The President proposes a budget," Daines said, "ultimately the appropriation authorizers actually deliver the budget. And I can tell you this remains a very high priority, and I think it’s evidenced today by the fact we’ve got Administrator Wheeler here. And one of the ways we can be more efficient in the use of our dollars here is to move toward action, rather than just languishing, which has been happening here for a long time." The EPA says it plans to have the Superfund cleanup in Butte finished in 2024, and in Anaconda in 2025.